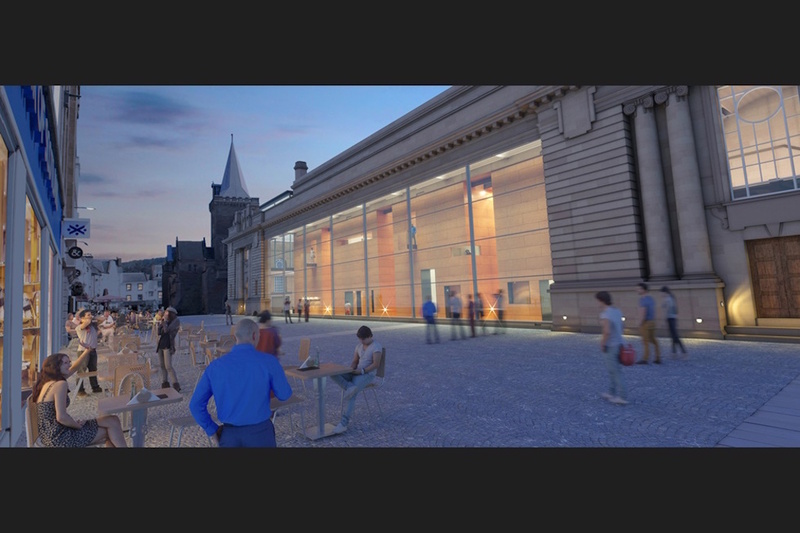 Five architects have been shortlisted to transform Perth City Hall in St John’s Square by Perth & Kinross Council. 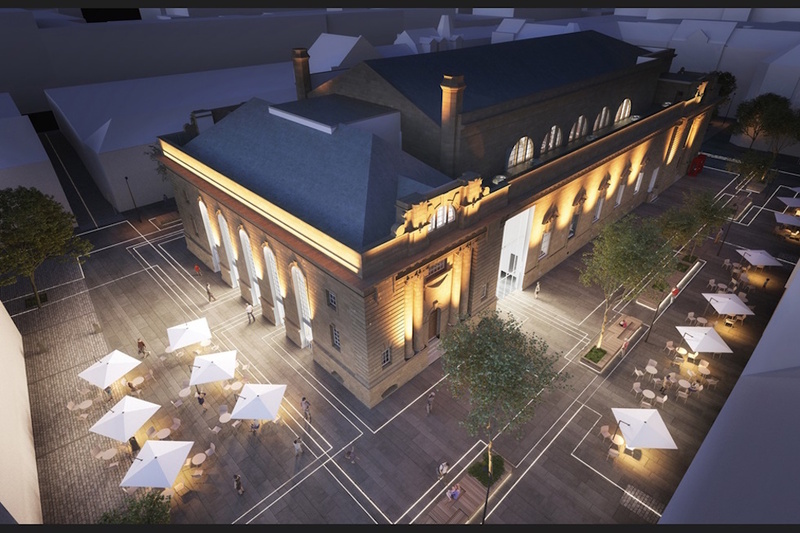 By the end of 2017, one of the five companies will be chosen to proceed with the £20 million transformation. 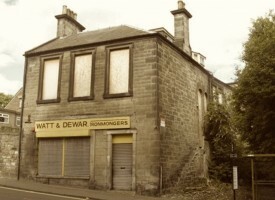 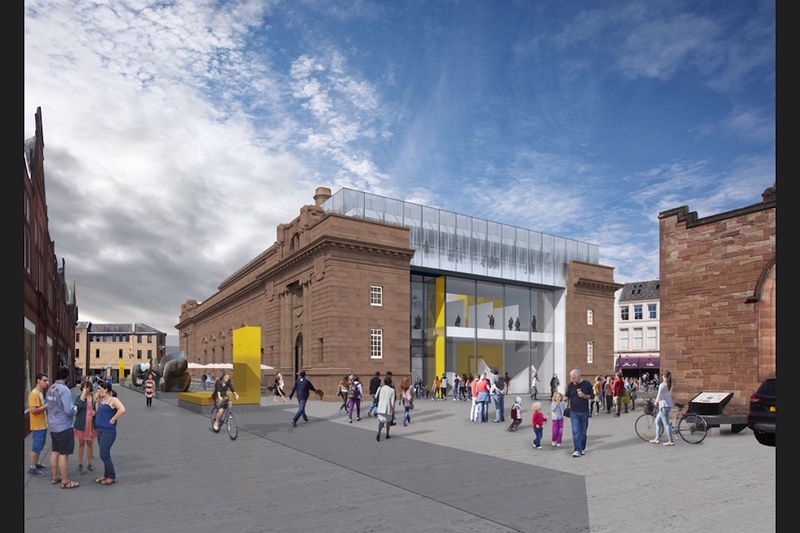 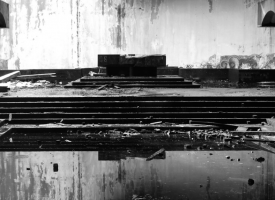 After Historic Scotland blocked demolition to make way for a city centre plaza, attempts to transform the building into an indoor market hall were also rejected, and, in 2016, Perth and Kinross Council announced plans for a new visual arts centre as part of the historic city’s bid to become UK City of Culture 2021. 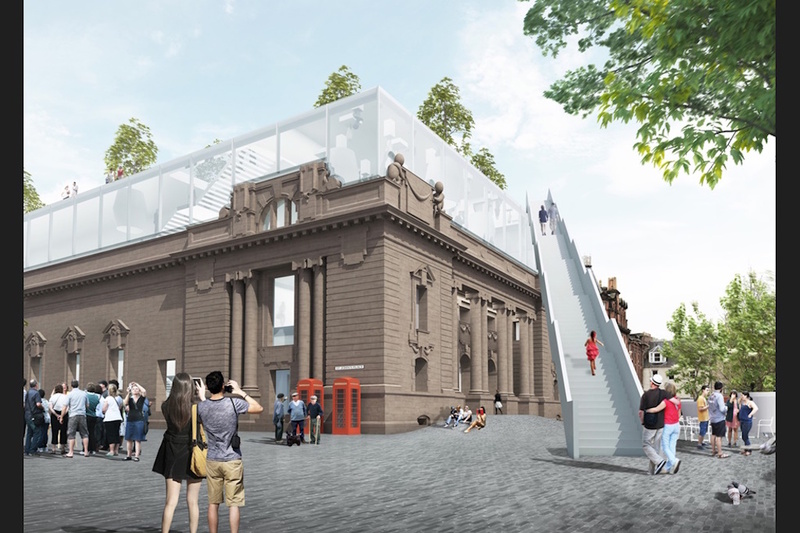 The five visions presented are by Austin-Smith:Lord with MVRDV, Hoskins Architects, LDN, Mecanoo and Richard Murphy Architects – RMA recently completed the award-winning Dunfermline Carnegie Library & Galleries. 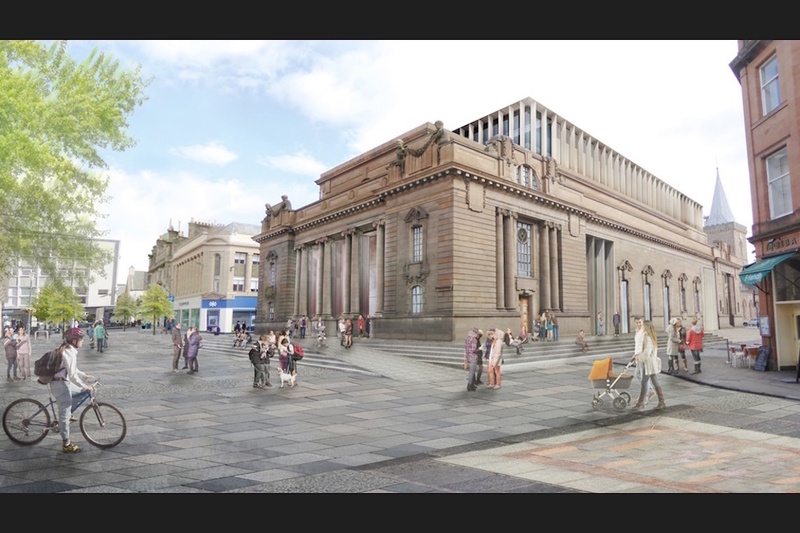 The Glasgow-based design team responsible for, amongst others, the People’s History Museum in Manchester. 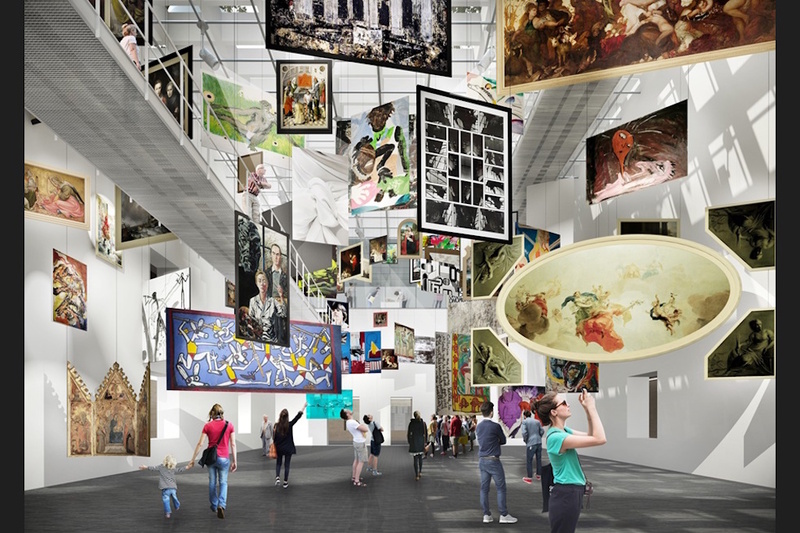 Their designs show a gallery filled with paintings hanging from the ceiling rather than on the wall. 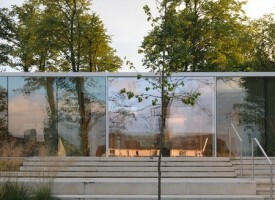 The rooftop garden can be accessed directly from the outside staircase. 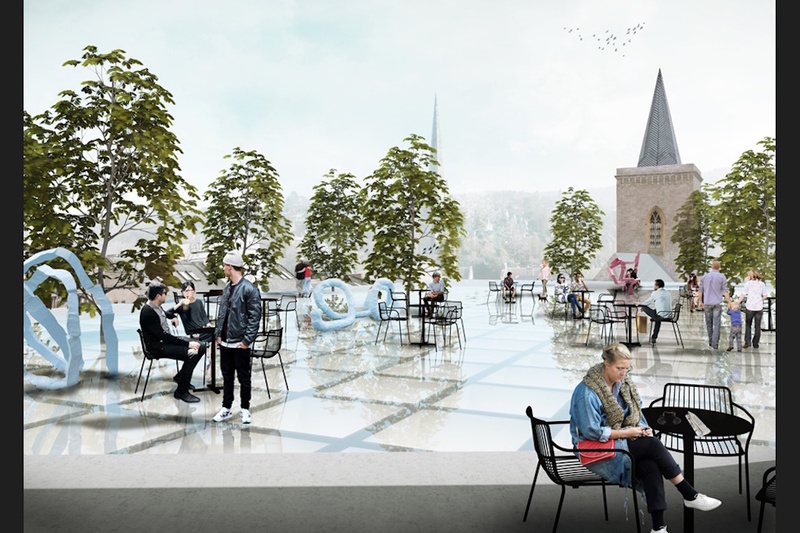 Hoskins, which recently completed the £50 million overhaul of the National Museum of Scotland, envisages moving the New Market Cross memorial to open up an approach from St John’s Shopping Centre and King Edward Street. 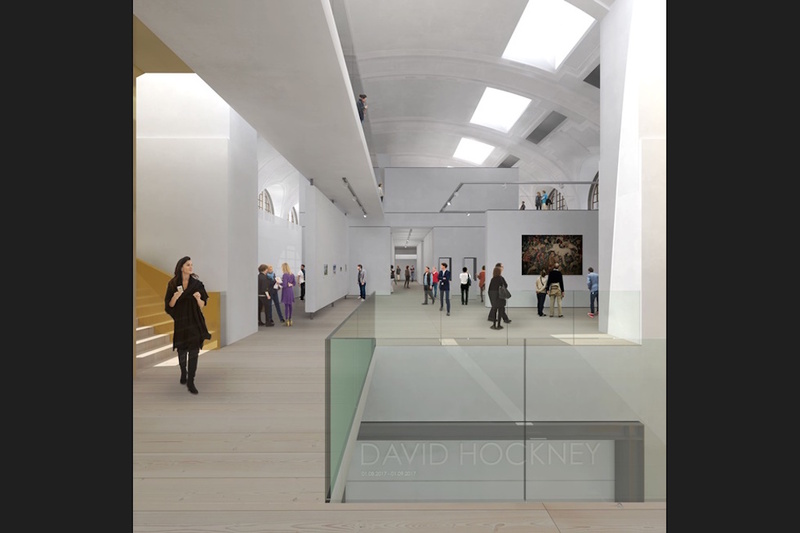 Their design includes a central atrium, flooded with daylight and a feature staircase will lead up to the main gallery on the first floor. 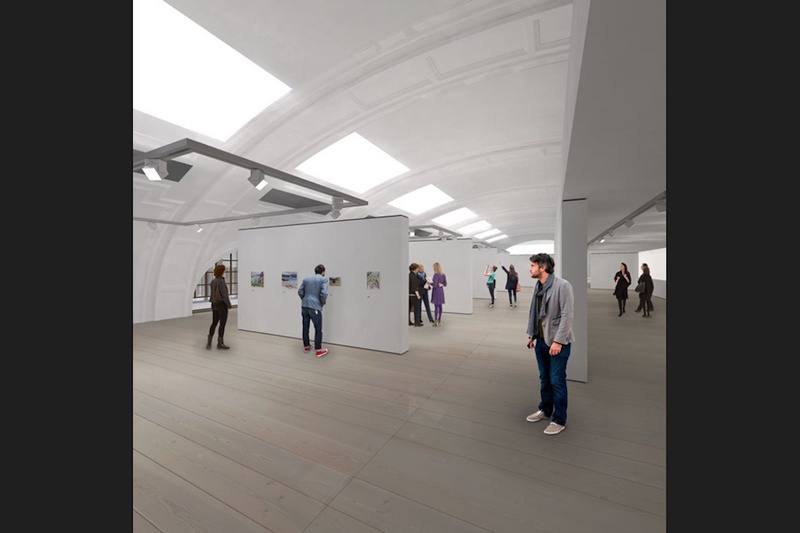 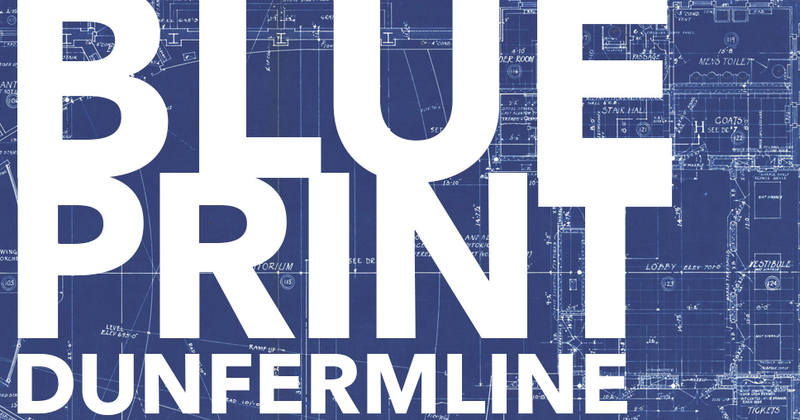 Exhibition spaces will be flexible, with views across the city to Kinnoull Hill. 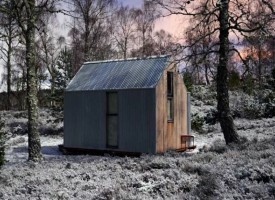 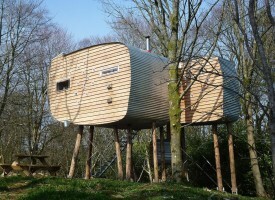 LDN Architect’ credentials include the Royal Museum of Scotland and the Bell Mill at Stanley Mills in Perthshire. 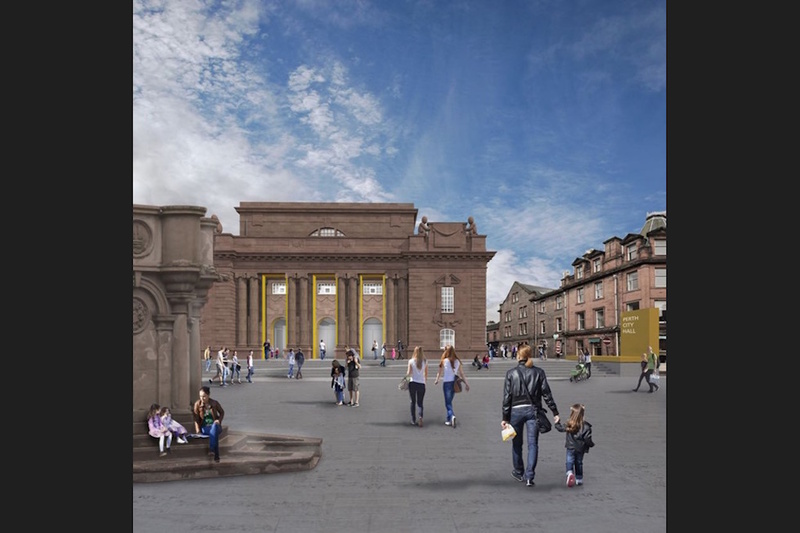 Their design (below) features exhibition plinths on the outside of the hall, along its southern side and a new 21st century entrance will be facing St John’s Kirk. 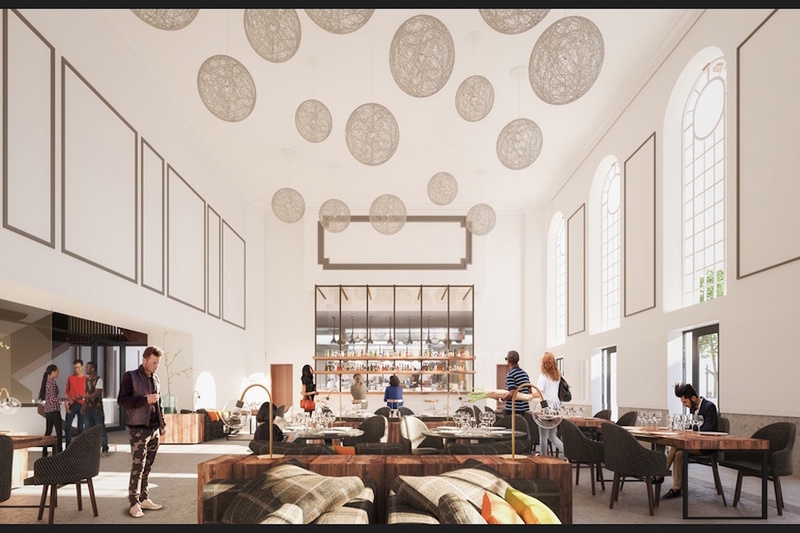 The idea is to make the hall more ‘transparent, welcoming and inviting’ while creating a buzz in the public space between the hall and the church. 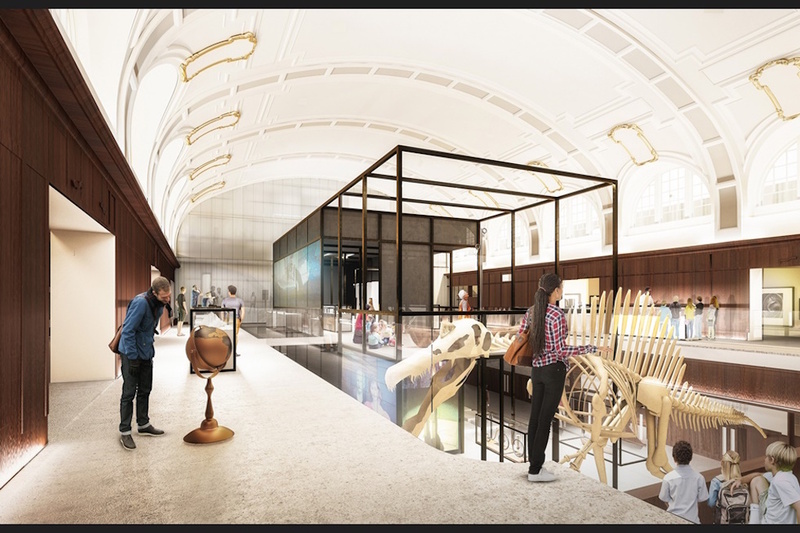 The Netherlands-based firm Mecanoo (designs below) has offices in New York, London, Manchester and Taiwan and has worked on, amongst others, the Martin Luther King Memorial Library in Washington. 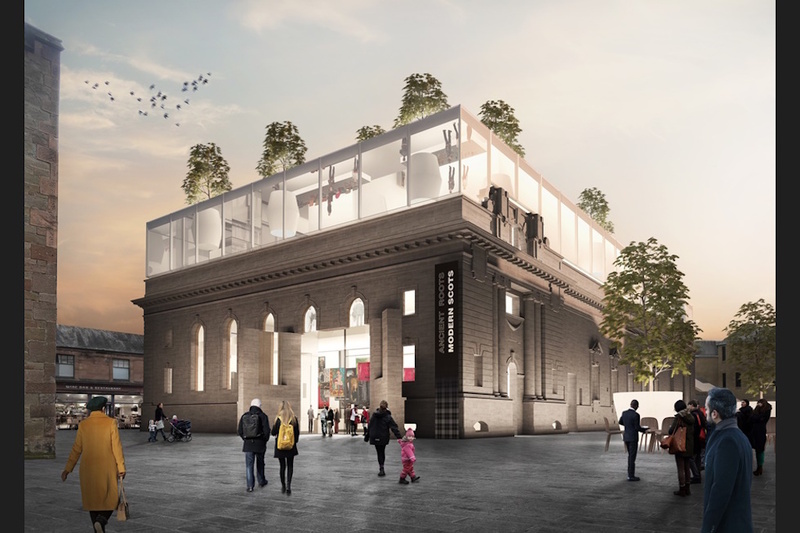 As well as Dunfermline Carnegie Library & Galleries, RMA has worked on Perth Theatre and the National University of Ireland, Galway O’Donoghue Centre for Drama, Theatre and Performance. 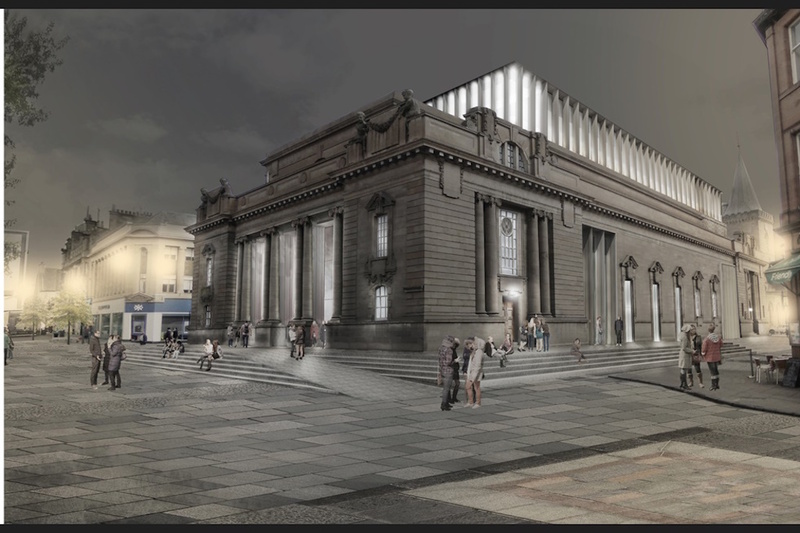 Describing the hall as a ‘mysterious and slightly forbidding box’, Richard Murphy envisages creating a second entrance opposite St John’s Kirk. 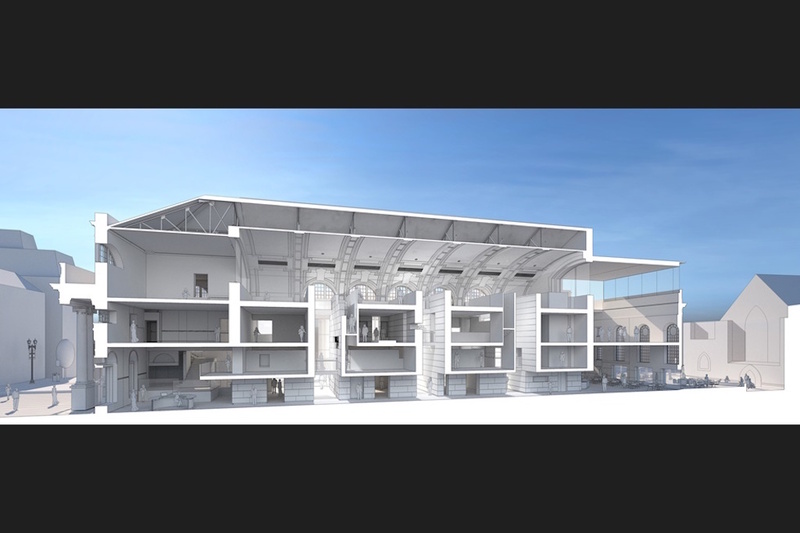 A cafe and shop will be placed in this area. 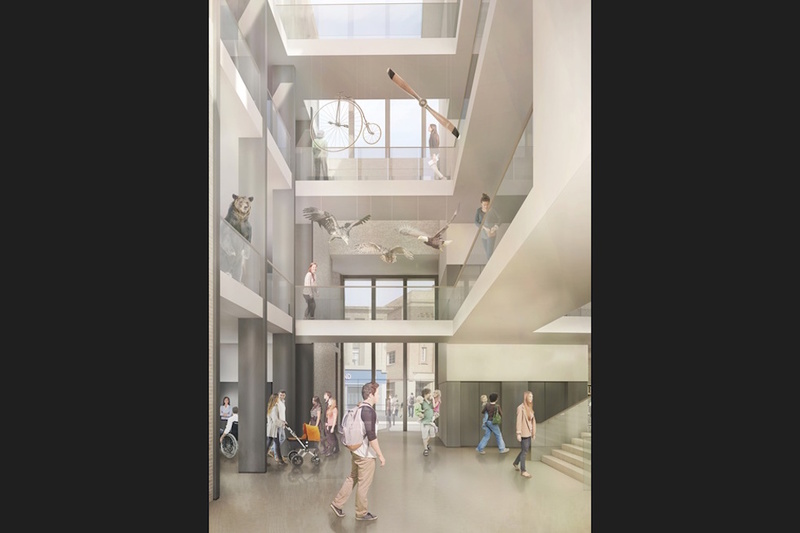 The whole ground floor of the building will be lowered to street level to make the hall accessible to everyone. 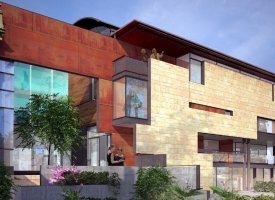 The most radical part of the plan involves removing the central part of the north elevation, inserting a giant steel beam and rebuilding the cornice and parapet, but otherwise replacing all stone work with a glass wall. 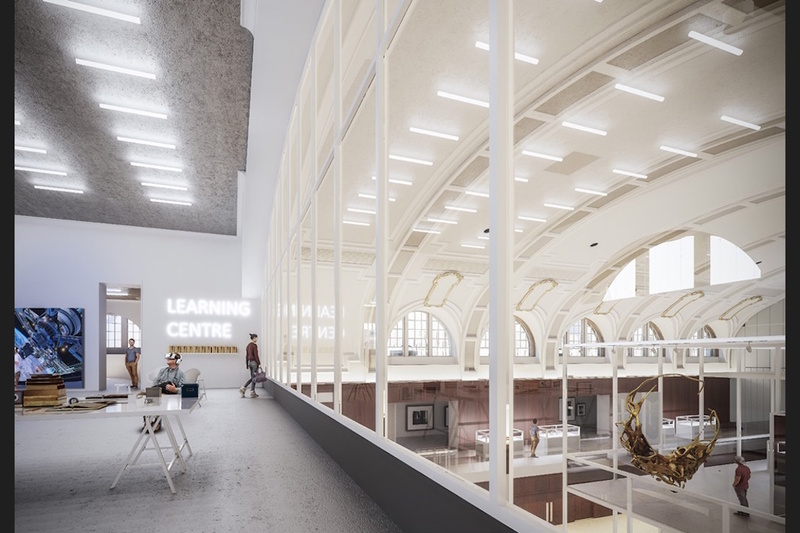 I prefer the simplicity of the Mecanoo design as I think the others have too much glass installed which is rather over powering and detracts from the original stonework of the building. 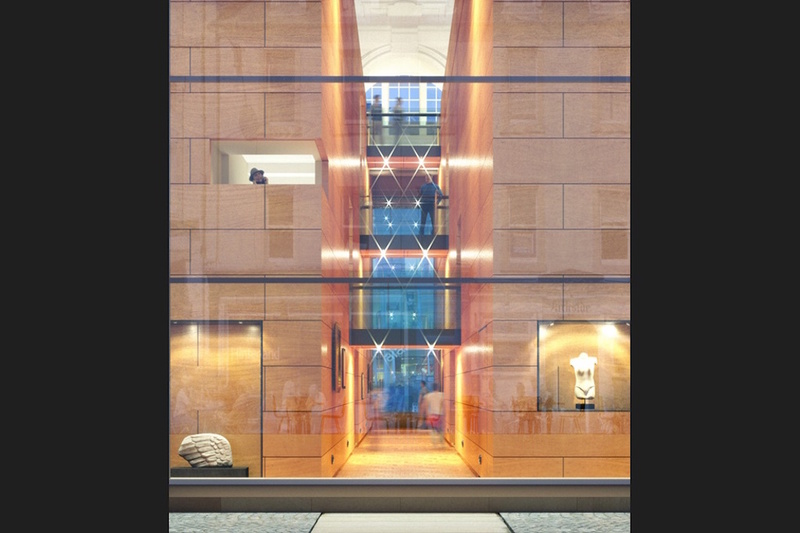 Its a case of “less is more” in this instance and although glass seems to be the “in ” thing I dont think its the way to go with this building.